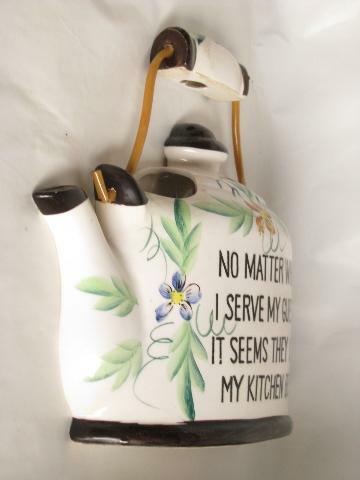 Vintage hand-painted pottery wall pocket in the shape of a tea pot, with a kitchen theme motto. This measures about 7 1/4" x 7 1/4" and hangs flat to the wall. 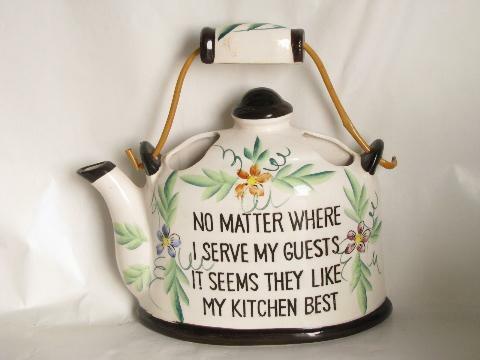 It's in very nice condition, marked Norcrest - Japan.